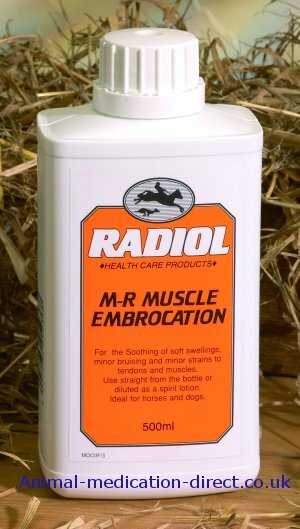 Radiol M-R Muscle Embrocation is for minor soft swellings, minor bruising and minor strains to tendons and muscles. Use straight from the bottle or diluted as a spirit lotion. Ideal for horses and dogs.